Blog Equal Freedom For Men and Women! Equal Freedom For Men and Women! 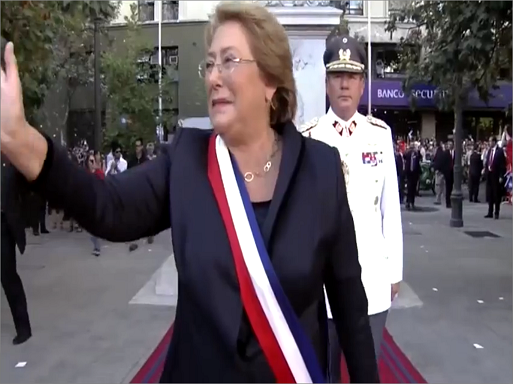 In Chile this year’s International Women’s Day was marked by president Michelle Bachelet’s announcement of a new Ministry of Women and Gender Equality to be installed this year. Aimed at ending gender inequality and violence and discrimination towards women, the ministry will propose and implement public policies to combat the perceived gender gap as part of a National Program of Equality. Other measures that have been passed recently include the obligation for political parties to have at least 40 percent of their candidates be female. Female participation in the Chilean labor force has historically been below that of comparable countries, although it has been on the rise in the last decade. On the surface Bachelet may seem like a brave crusader for justice on this issue, and perhaps she even perceives herself as such. Yet it is worth examining what she is really advocating for. After all, no matter how noble one’s goals, the specific actions taken to achieve that end should themselves stand up to ethical scrutiny, even aside from the question of their effectiveness. In fact the nobler the goals the more important choosing the right steps toward them becomes. What is that old saying about the road to hell? Being a Socialist Party president it is easy to identify the ideological bias upon which Bachelet’s actions are based. At the root of this ideology lies the utopian idea that society can be molded and formed into perfection from the top down. This basic premise has many ramifications, all founded on the idea that paradise can simply be legislated into existence by the stroke of a pen. In short it is the sort of thinking that leads to 40,000 new laws taking effect in a single country in a single year. After any initiatives aimed at the aforementioned are implemented the resulting statistics will undoubtedly be employed to tout the policies’ alleged benefits, as if there is any honor in changing human behavior by way of coercion. You got someone to do X after threatening him or his property? You must be a master persuader! In the case of Chile there is ample evidence to suggest that cultural factors have much to do with lower female participation. If there is a little to no discrimination, then, and if it is by women’s own volition that they are underrepresented in the job market, how can government force be morally justified? One of the most well-known reasons for women to choose to work less or not at all, for instance, is having a partner. Does that mean the State should forcibly insert itself into family relationships in the name of gender equality? Anyone who has written anything on this controversial topic has likely upset at least a few sensitive souls. This article will probably be no different, even if the intention has merely been to trigger critical examination of one’s viewpoints in lieu of the usual discourse replete with name-calling and populist rhetoric invoked by those with a political axe to grind. As freedom advocates in the midst of debates about the rights of one group or another, let’s never lose sight of what ought to be central in these discussions: the protection and advancement of those individual liberties that are innate within each and every one of us. If that leads many women to pursue professional careers, more power to them. If they prefer to focus their attention elsewhere, however, that should be equally respected. Other women – even those that happen to occupy some political office – have no business telling them how to live their lives.